Recent imaginative alternative energy projects give good grounds for confidence that many former mine sites can be ideal locations for developing alternative energy generation facilities - simply by looking in a new light at some of the properties that made them problematic in the first place. Possibilities range from wind, solar photovoltaics, geothermal power or heating, energy crops and mine methane to bioreactor landfills, hydropower and test-beds for a variety of more experimental power generation technologies. 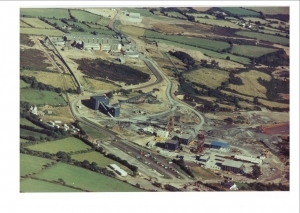 As with any development, mine site conversion to alternative energy generation must of course take due account of impacts on the local environment and communities. But done well, these can provide extra economic value from the site during the mining operational phase as well as ongoing value after operations have ceased in the form of an alternative income stream over the long term. Specific benefits can include the mitigation of clean-up costs, re-using infrastructure to reduce decommissioning cost, enabling re-employment of a skilled mining workforce and/or new local employment opportunities, and a clean and usually quiet after-use for a mine site that can also create a potential source of carbon credits with tradable value. The total carbon footprint of the site can be significantly reduced, as well as providing clean energy for society and helping towards climate change objectives. So why might mine sites prove to be ideal locations for the generation of alternative energy? First and maybe most obvious, they often cover extensive areas of up to thousands of hectares or more where wind and solar power structures have less environmental impact and are therefore less likely to meet opposition. They often already have the necessary electricity transmission lines and transport infrastructure in place, avoiding extra capital costs. Land transaction costs are generally lower and the process simpler because brownfield areas tend to be owned by fewer landowners than a similar area of greenfield. Brownfield redevelopment for green energy can reduce development pressure on greenfield sites, so maintaining their carbon sink benefits. Other forms of re-development may not be an option due to the remoteness of the site, or the environmental conditions may rule out residential or commercial use without significant extra development cost. Large-scale wind energy projects are an increasingly common alternative energy use on former mine sites, particularly in Europe and the USA. Just one example is the planned largest wind farm in Virginia, eastern USA. One hundred and sixty-six turbines sited on over 4000 hectares of land disturbed by coal and hard rock mining activities will be able to supply 65,000 homes, with 99 per cent of the land remaining usable for other activities including farming. The visual impact of wind turbines may be less controversial in areas already affected by mining landscapes. Mineral waste dumps often give increased elevation and exposure to enable increased output, while underlying land can also still be used for other purposes. However, there may be technical challenges to overcome due to the nature and stability of the dump material and constructing adequate foundations for turbines. Former mine sites can be ideal locations for solar energy generation, thanks to their often expansive and exposed positions, especially in areas with an aspect facing the sun (south facing in the northern hemisphere, north facing in the southern hemisphere). Germany is the world leader in solar energy technology and production and is utilising its old mine sites in this way. The Geosol solar plant at Espenhain, Leipzig, constructed on a former lignite mine ash site, generates five megawatts - enough for 1800 households - and saves around 3700 tonnes of CO2 every year. 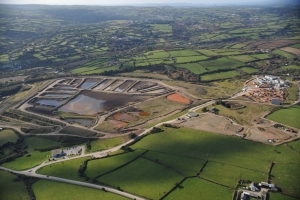 The UK's first large-scale solar photovoltaic farms has recently been constructed on the site of the former Wheal Jane mine in Cornwall, UK. Since the ambient temperature of the Earth increases with depth, underground mine workings provide a convenient collection point for groundwater that may be sufficiently warm to enable its exploitation for raising the starting temperature of the water used in buildings and horticulture for heating and hot water, often involving ground-source or water-source heat pumps. Mine and quarry sites can also offer opportunities for access to deep geothermal resources, involving hotter water or super-heated steam power generation via a turbine. Geothermal heat is expected to come on-stream in the very near future from the heat stored in the water at the flooded former underground coal mine workings at the Cape Breton site that once supplied half of Canada's coal. Post-mining land, such as from large scale strip mining, can offer a more sustainable model for growing energy crops than using existing agricultural land or clearing natural vegetation cover. Biomass crops (grown specifically to be burnt for fuel) typically include fast-growing trees planted at high densities and perennial tall grasses, while biofuel crops are subsequently processed to derive fuels. Jatropha for example produces an inedible oil that can be used to produce biodiesel and is the subject of much interest for growing on mined lands in China, the Philippines and elsewhere. There are also potential additional or combination benefits with less intensive energy crops, such as for biodiversity, and/or providing a carbon sink or offset as forest biomass or soil improvement with 'biochar' which could qualify for carbon credits. Atmospheric methane is a greenhouse gas 25 times more potent than CO2. Global anthropogenic methane emissions for 2010 were estimated at 6875 million metric tonnes of CO2 equivalent and are expected to rise by 15 per cent by 2020. The coal mining industry produces approximately 6 per cent of this total. Sound reasons then for using coal mine methane (CMM) technology to capture it from underground coal mines and use it to produce energy while simultaneously converting it to CO2 - a tried and tested technology in many developed country coal mining areas for working coal mines. Even in the case of abandoned mines there can be huge potential as a source of power, although the production of methane declines initially rapidly and then over an extended period. Leading countries in this technology include Australia, Germany, the UK and the USA. 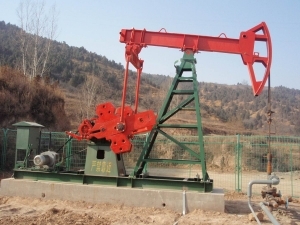 China, the world's largest emitter of coal mine methane, already captures methane and produces energy from it in working mines, but the potential for further development is enormous. Open pits and quarries have often been used for the landfill disposal of municipal and other biodegradable wastes. Today, these sites produce methane from anaerobic decay of the waste, which can be captured and burned to produce heat or electrical energy while being converted to carbon dioxide. If properly engineered for optimum gas production and recovery, they can be very efficient bioreactors with sustainable supply for many years. The Woodlawn Bioreactor in New South Wales, Australia, located in the 25 million cubic metre Woodlawn open cut base metal mine, has received over 600000 tonnes of putrescible waste from Sydney since 2005. Methane is now being harvested to produce electricity, and 25 wind turbines on the site will potentially generate electricity to power 17000 homes. Pumped water storage for power generation in the underground workings of closed or abandoned mines or surface open pits are an emerging option for the generation of hydroelectricity. This technology is not yet operational, but projects are being planned or are in development. They generally involve high capital expense, but avoid the potential environmental impacts of storing water at the surface. Two underground pumped water storage projects that have been proposed in recent years include an underground limestone mine in Ohio, USA, and the underground workings of an abandoned iron mine in New Jersey, USA. Closed mine sites also provide ideal opportunities for research in alternative energy uses, with vertical shafts and large volume underground workings that are ideal for storing air or water and saline waters that can be used as chemical batteries. Experimental technologies include wave shaft, compressed air storage, acid mine drainage and osmotic power. Although interest in these areas is on the increase, the re-use of mine sites for alternative energy generation remains at a small scale. Stringent planning or permitting conditions can affect many alternative energy developments, especially in relation to visual impact. A more sensitive land and development planning and permitting regime, particularly relating to the re-use of brownfield sites and the re-deployment of labour, could be given a higher priority. Many of the new technologies, although developing fast, are still in the early stages of commercial viability - often with assistance from government incentive or green energy subsidy schemes designed to encourage development and implementation of energy generation from low-carbon sources during the early years. As they become more commercially viable, and financial institutions more amenable to providing debt and equity finance, the long term future of mine sites could be very different and far more promising than the reality of today. Peter Whitbread-Abrutat and Nick Coppin are with Wardell Armstrong International, Truro, Cornwall, UK, the independent engineering consultancy specialising in mineral resource development and management. www.wardell-armstrong.com.